I've starting to get really interested in sustainable, slow fashion these past few months, and although I haven't talked too much about it here, it's something that's become really important to me. One of my and Ashley's favourite things to do these days seems to be label checking — she strolls around the mall during lunch breaks seeing where some of her (previously) favourite brands make their wares, while I stalk Shopbop for the same info (they actually list where each individual item was made in their product descriptions — so helpful!). I've been doing my best to avoid supporting items made under questionable work conditions, thinking about the environmental impact of the choices I make, and generally trying to consume less — a difficult preoccupation when one finds themselves style blogging for a living. 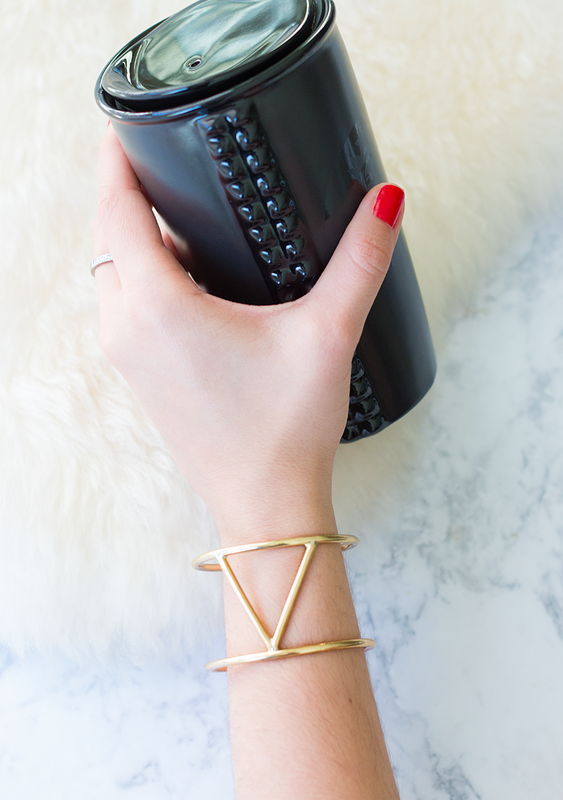 I'll be opening up a lot more about my new mentality in the coming months after I've fulfilled a few contracts and obligations, but in the meantime, I wanted to share with you three accessory labels you can actually feel good about supporting... and if you have a responsible brand or two up your sleeve that you love, please share! 1. 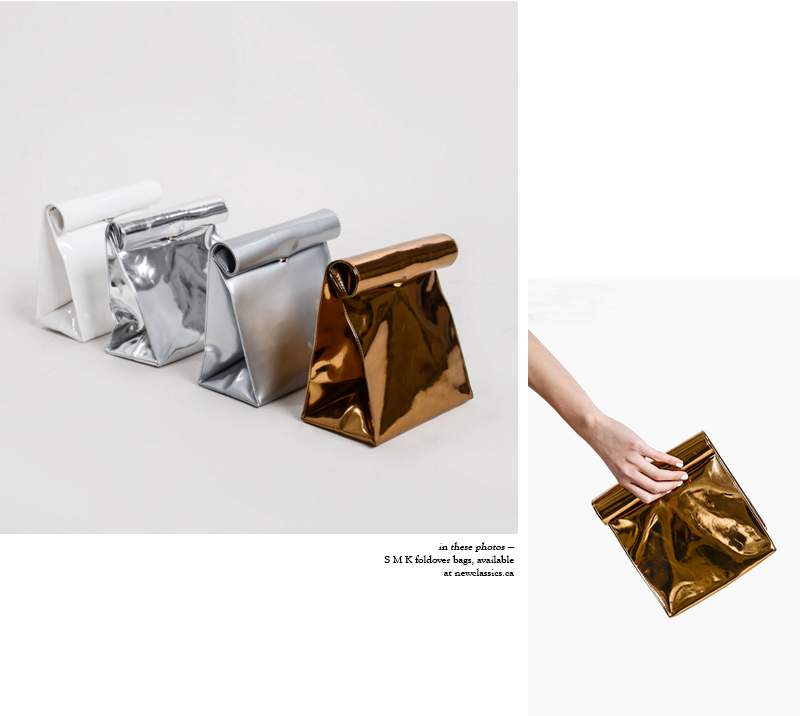 S M K // Not only are these vinyl, foldover bags a total conversation starter (seriously, I can't take three steps without someone asking me about mine), but they're vegan and mindfully made in South Korea. New Classics Studios stocks the popular bag, and their incredibly high standards in terms of product selection makes me confident that this bag is a responsible choice — and if you don't believe me, just check out their about page; it's inspiring. 2. 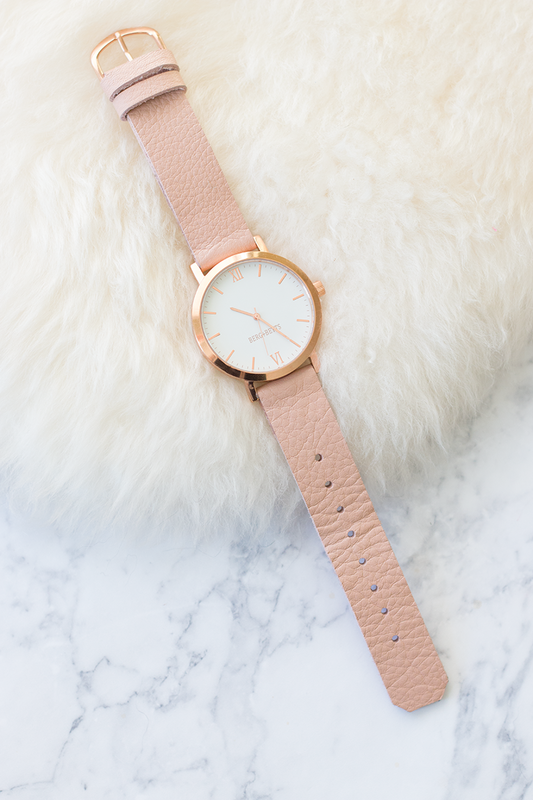 Berg + Betts // My personal favourite, Berg + Betts is an Edmonton-based brand that offers handmade watches and tassel necklaces made from scrap leather that would otherwise go to waste. 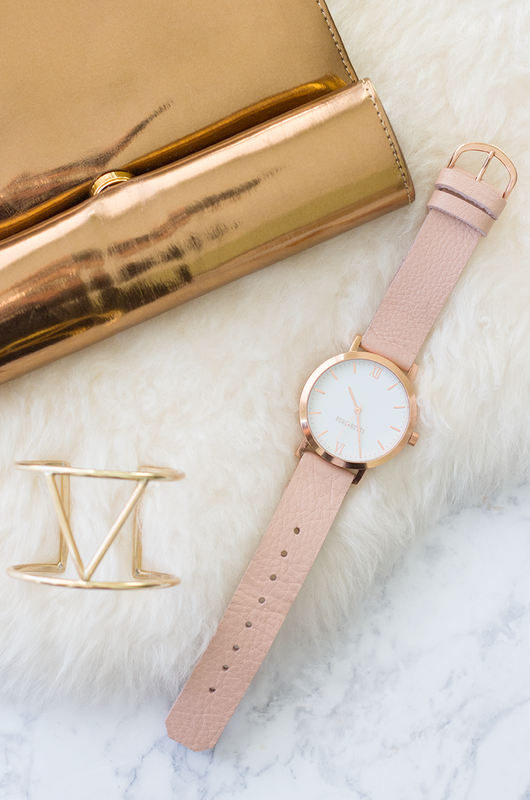 It's a genius idea, and I can't get enough of their new collection of round watches... so. good. 3. SOKO x Pencils of Promise // This one's a double whammy; SOKO is a jewelry line that offers handcrafted pieces from the developing world, while Pencils of Promise helps build schools in communities that need them the most. Put the two together, and you've got an on-point capsule collection whose proceeds will help build schools in Ghana... it's a win-win-win. My personal favourite is this V cuff (no reason), but the ring and necklace versions are pretty amazing, too. I was having a trolly 'round Le Chateau out of boredom on a rainy lunch break, and was surprised to see how many of their garments are made in Canada! I guess that's how they justify prices of $150 & up for clothes that look fresh out of 2001. Now if they had some cute pieces, I'd happily spend that and more; time for a designer collab!